When we are at the closing table everything comes to a conclusion. It is usually the end of a long journey for both the buyer and the seller and everyone is anxious to get matters settled and move on. One thing that can be a question is whether the property taxes have been paid and are up to date. On the surface this seems a simple enough matter but on rare occasions there can be some confusion and it is possible that the taxes end up being paid by both parties. How does this occur? Well, normally the taxes are prorated and of course the buyer(s) are only responsible for paying the house taxes that begin on the closing date, when they actually become the new owners. There are times when a closing occurs around the same time that taxes are due and this can result in uncertainty as to whether the current taxes have actually been paid. The lender may lump hundreds of tax payments together in one payment and if the timing is right (or wrong) it is possible that although paid the check may not post before the closing leading everyone involved to believe that the taxes have not yet been paid. 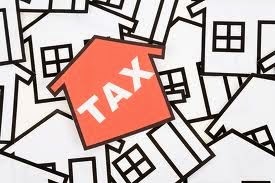 As a result the seller may issue a tax credit to the buyer and the buyer will then pay the tax debt. Now that the taxes have been paid twice it becomes necessary for a refund to be issued. As you can imagine dealing with a refund can be tedious and frustrating. If you’ve ever tried to get money back from any government agency than you probably know the true meaning of the word bureaucracy! The best way to avoid this situation is to check with the seller’s lender as to whether the taxes have already been paid. Even if the check has not yet “cleared” the bank or been posted by the treasurer at least you know that the payment has been sent. This can save you a world of trouble and prevent the need to obtain a refund for the overpaid amount.